Terra and Joe are already doting parents of their 13-month old daughter Penelope – “Penny” – who is featured predominantly on Terra’s Little Family. Although Terra did discuss Penny’s multiple health challenges on this season’s LWLA, including a neck compression surgery that the little wee one had to endure in order to relieve swelling. 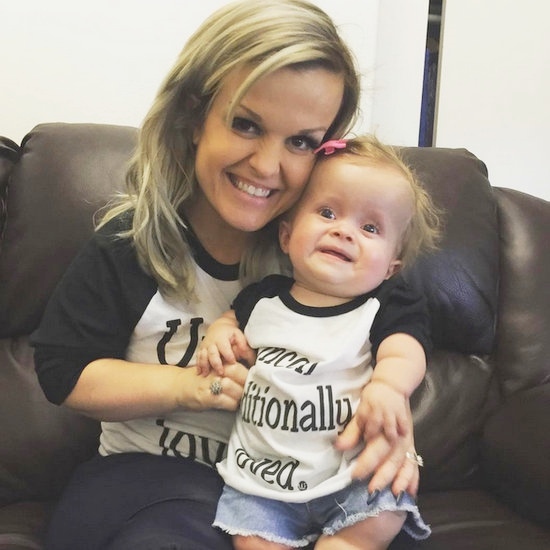 Penny, like Terra and Joe, also has dwarfism, which raises the risk for health issues – and sometimes, even death – in babies. RELATED: Christy Files Charges Against Terra Over Bar Fight! Meanwhile, castmate Elena Gant is busy being pregnant with twins! Whew. These ladies must be #Tired! With all of the baby news converging at once, Christy McGinity is apt to feel the burn more than anyone, as she’d hoped to be pregnant since last season. After battling fertility issues, Christy and hubby Todd decided to pursue adoption instead, but Christy still expressed resentment about Elena and Briana’s pregnancies when they were revealed on camera. But what will Christy’s reaction be now that her arch frenemy, Terra, has joined the league of mothers-to-be? Whatever the internal strife of the LWLA ladies, here’s hoping Terra and Joe have a happy, stress-free pregnancy, and a beautiful, healthy baby! TELL US: ARE YOU HAPPY FOR TERRA AND JOE? WILL CHRISTY CAUSE PROBLEMS FOR TERRA DURING HER PREGNANCY? Ashley Darby On Karen Huger: “This B*tch Has a Big Bite!” Plus, Thinks All The RHOP Ladies Are Just Jealous!